Yale China In Focus, a student-run independent, non-profit organization on campus, held a roundtable discussion on the current issues regarding Chinese-Canadian relationship and the future challenges that the two countries face on February 26, 2019. Founded in 2008 by a group of Yale College students, formerly known as Yale China Economic Forum, China In Focus brings social, cultural, business, and development exchanges between China and the Yale community. Through seminars, roundtable discussions, and speaker series, Yale China In Focus aims to promote a greater understanding of Chinese society, politics, and economy in the Yale community. The subject of the discussion centers around the 2018 Huawei CFO arrest in Canada and the Chinese civil boycott of Canadian brands, such as Canada Goose, in response. 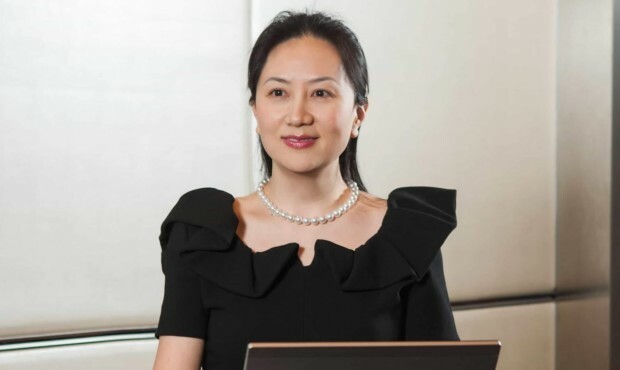 In December 2018, Chinese tech giant Huawei’s CFO Meng Wanzhou, the daughter of the founder of the company, was arrested in Canada and currently faces extradition to the US. The accusation behind the arrest was Meng’s alleged violation against US sanctions against Iran. As a result of the arrest, China and Canada entered a diplomatic clash as Chinese authorities arrested two Canadian citizens in China following Meng’s arrest, including one former diplomat and one businessman, accusing them of espionage. During the discussion, students noted that Meng’s arrest could be closely related to US’ long-term strategy against the Chinese company’s international expansion due to security concerns. As the world’s largest wireless network equipment supplier, Huawei is leading the development of 5G technology and expanding the world’s 5G networks with its infrastructure. Because of Huawei’s identity as a Chinese company and its potential ties with the Chinese government, the US has banned Huawei from government contracts since 2014 based on national security concerns, and the Trump administration encourages its allies to do the same. Australia, for instance, recently blocked Huawei from its 5G networks, citing security concerns. This raises the question of whether Meng’s arrest was simply because of violations of US sanctions against Iran or part of the political strategy against Chinese technology infiltration. The students also discussed the impact of Meng’s arrest on China-Canada trade relations. Shortly after the arrest, strong public sentiment against the actions that the Canadian government had taken led the Chinese public to call for a boycott against Canadian products. The Canadian luxury jacket maker Canada Goose was the most notable target of the boycott. However, while the boycott seemed to be widespread and impactful as Canada Goose’s stocks fell quickly, sales later showed that the company’s revenue in the Greater China market also increased, showing no apparent impact of the boycott. This is likely because the average person in China cannot afford and do not choose Canada Goose products in the first place, and the boycott became a type of publicity for the company. Ultimately, the tensions between China-Canada relations remain on the diplomatic level. It will continue to be extremely hard for Huawei to expand its international businesses as a Chinese tech giant since the US and its allies fear potential national security breaches. Canada, on the other hand, as a trade partner with both the US and China, has to avoid a diplomatic crisis as Meng’s extradition proceeds.